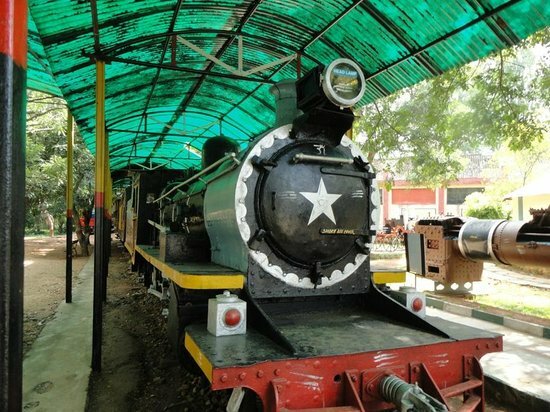 The Railway Museum at Mysore, India is an outdoor exhibit of vintage locomotives. The Railway Museum was established in 1979 by Indian Railways, the second such museum after the National Railway Museum in Delhi. The museum is opposite the Central Food Technology and Research Institute on Krishnaraja Sagar Road. It has locomotives and a gallery of photographs and paintings depicting the growth of railways in India. Railway signals and lights are also displayed. The museum has a battery-operated mini-train giving a short ride for children on the grounds.